Fancy going ‘undercover’ as Mystery Golf Tester ? 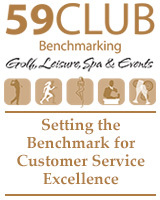 59club is looking for experienced golfers to join their 'Mystery Tester' team which is made up of select individuals who have a passion for good service, an eye for detail and a positive, constructive way of communicating quality feedback. These keen golfers enjoy playing courses at venues across the UK, Europe & Dubai. In return the mystery testers provide detailed feedback based on their experience whilst at a club being assessed. It is important that testers have experienced various levels of customer service from playing at an array of golf clubs over the years, hence are armed with the ability to identify and differentiate between good and bad service. These volunteers are from all walks of life, from Managing Directors and business owners to University graduates all of which have no obligation to commit to any amount of tests.